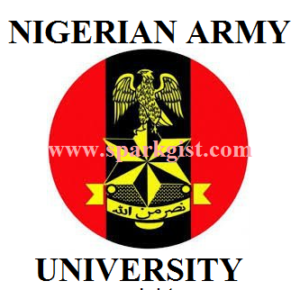 The Nigerian Army University, Biu (NAUB) has been scheduled to start academic activities in the 2018/2019 session as said by the acting Vice Chancellor of the Institute, David Malgwi. Malgwi made this known while speaking at the foundation-laying ceremony of the university. He said the university will begin operations with five faculties and thirty-nine programs. He also stated that the university was designed to operate with 14 faculties, 113 departments and 493 programs. Meanwhile, according to Pulse, the chief of army staff, Tukur Burutai announced that N2bn has been set aside for the launch of the university project. The Minister of education, Mallam Adamu Adamu, who represented President Muhammad Buhari at the foundation laying event said the establishment of the institution would be of great benefit not only to the military but also to the entire country. “Since we came on board we have increased access by establishing new universities at the federal, state and private level. “This year alone, we have established Nigerian Maritime University, Delta; Nigeria Air Force Institute, Kaduna and the Nigeria Army University, Biu. “We have also approved the establishment of eight state and fifteen private universities since we assumed office,” Mallam Adamu Adamu added.